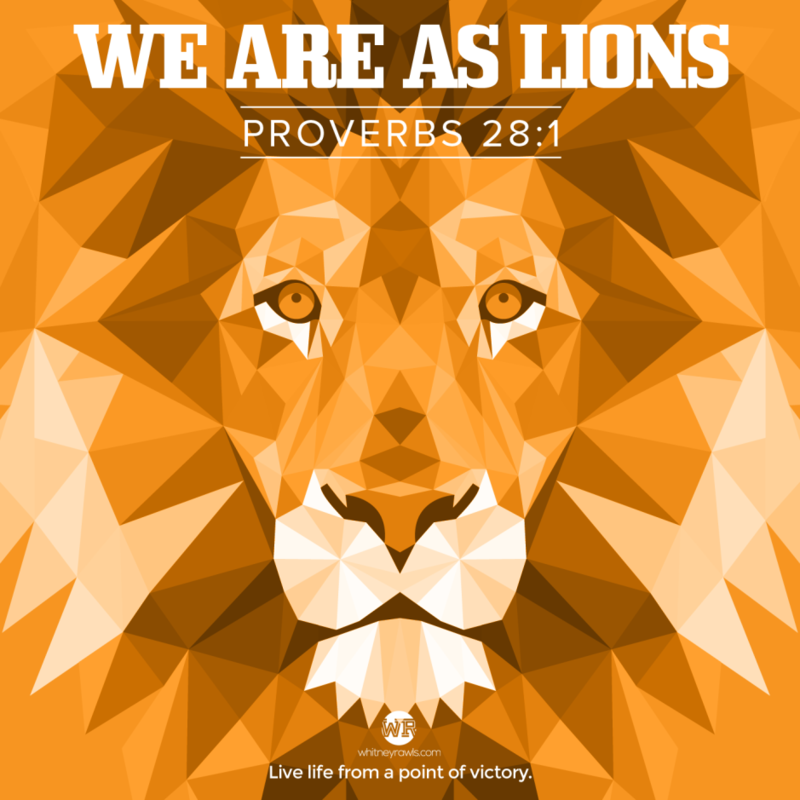 We Are As Lions - Whitney Rawls ‹ A Point of Victory! Running away from your problems isn’t courageous. It isn’t enduring. It’s not an act of perseverance. It’s cowardly. God gives us strength to endure when we trust Him. We should remember that He is with us, and for us, whenever and wherever we find ourselves situated in life. And if God is for, who can be against us. We are as lions. Bold and courageous. Fearless. Limitless. Victorious.